For more than 75 years, the Martini family winemakers have crafted world-class Cabernet Sauvignon wines from the exceptional vineyards of Sonoma and Napa counties. 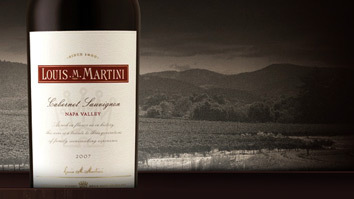 Louis M. Martini embodied a simple, honest premise: The best grapes make the best wines. Today, Michael Martini, third-generation winemaker carries on this tradition at the historic winery in Napa Valley with his range of unforgettable Cabernet Sauvignon wines.